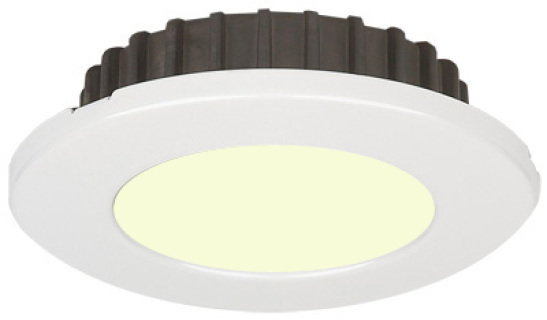 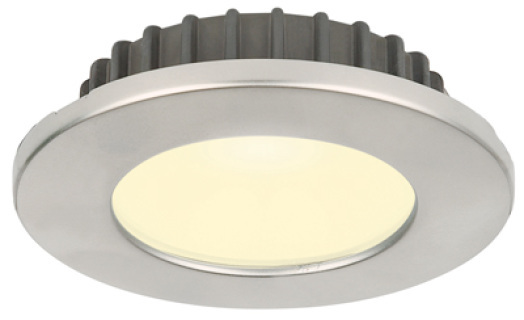 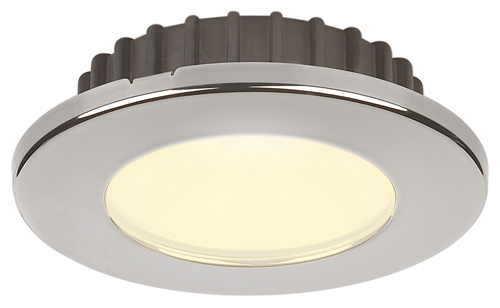 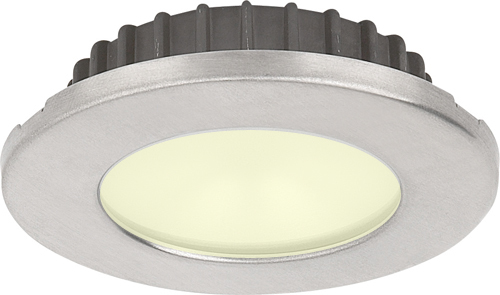 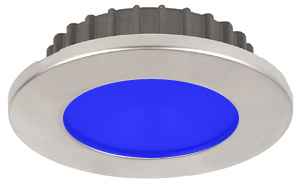 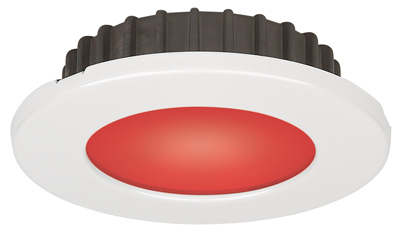 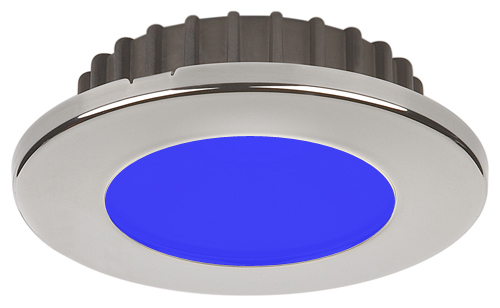 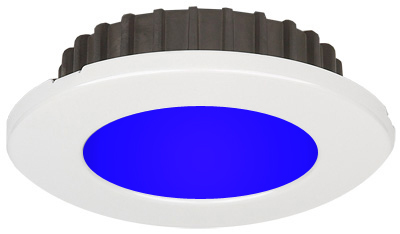 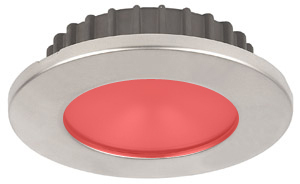 The DLS 313 PowerLED series is a high flux LED spot with wide-flood light beam characteristics and ultra slim trim ring profile, making it ideal for low to medium ceiling heights or efficient under-cabinet lighting. Its shallow housing allows placement within ceilings that have limited air space behind. 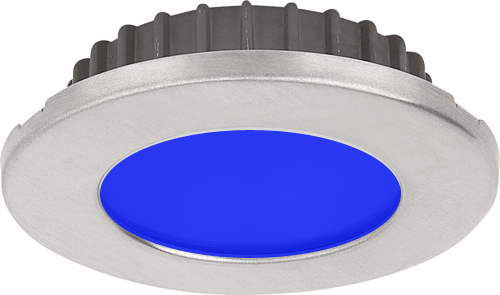 The 313 PowerLED is also completely sealed and is a popular choice for exterior mounting in FRP hard-tops for nighttime cockpit and helm illumination. 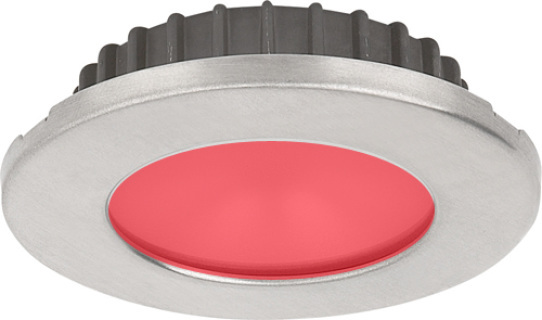 A built-in dimmer interface allows for effortless touch-control dimming using our PWM dimmers.